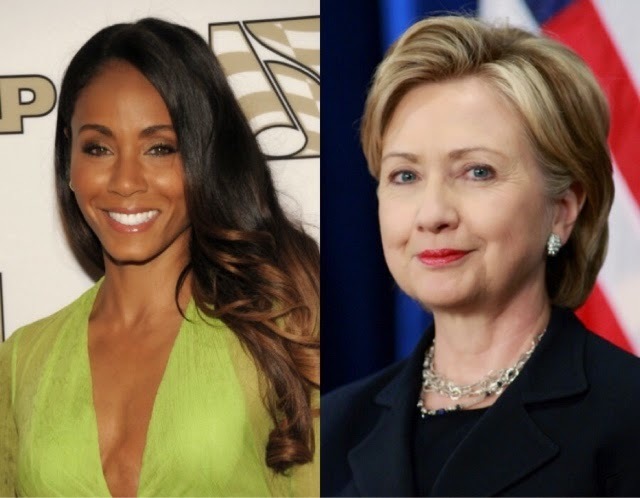 Tanea Moniquex | Celebrity Entertainment News, Fashion, Music and Advice: Jada Pinkett Smith Pens Open Letter To Hillary Clinton: "The relationship between black and white women .. has been deeply complicated .."
"Hillary Clinton is running for President. When Hillary made her announcement, I was more confused and anxious than excited. Her announcement conjured many old hurts and scars. To all my women friends of all colors and creeds, this is a great opportunity for healing and reconciliation… let’s woman up in the spirit of compassion to gain more understanding of one another and the issues we face. Let’s get the conversation started…"